(Reuters) - China's largest auto parts company made a surprise bid for Fisker Automotive just days before the bankrupt maker of the Karma plug-in hybrid sports car was to be sold to a Hong Kong tycoon, according to court documents. Fisker creditors asked the U.S. Bankruptcy Court in Wilmington, Delaware, to scrap Fisker's agreed sale to a company affiliated with Richard Li and instead hold an open auction at which auto parts supplier Wanxiang America Corp plans to bid. Wanxiang has agreed to make an initial bid of $24.725 million and said it will assume some liabilities of Fisker, according to documents filed at late Monday's deadline to object to Fisker's plans. A hearing has been scheduled for Friday in Wilmington to consider whether Fisker should proceed with the sale to the Li affiliate or adopt the creditors' proposal. The U.S. Bankruptcy Court judge overseeing the case, Kevin Gross, earlier this month raised concerns about Fisker's rush through bankruptcy, which was filed only a month ago. James Sprayregen, a Kirkland & Ellis attorney who represents Fisker, did not immediately respond to a request for comment left with his office. Wanxiang outbid Johnson Controls last year in a bankruptcy auction for most of the assets of A123 Systems Inc, which made batteries for Fisker's cars. "They are extremely capable and knowledgeable of the industry and know how to get things done," said William Baldiga, a Brown Rudnick attorney who represents Fisker's official creditors committee. Both Fisker and A123 obtained green technology loans from the U.S. Department of Energy. Critics of the government's loan program tried to get regulators to block the sale of A123 to Wanxiang, arguing that sensitive technology was being transferred to an economic rival. Baldiga said he does not anticipate similar problems with the sale of Fisker's assets, which he said are primarily related to automotive design. Wanxiang plans to restart Fisker production as soon as April and eventually move the manufacturing from Finland to Michigan, according to Wanxiang's presentation to creditors that was filed with the court. The Chinese company estimated it would sell more than 1,000 Karma hybrids in the first 18 months in the United States and 500 in Europe. Fisker sold the Karma for more than $100,000 each. Wanxiang said in its presentation it could lower production costs, but did not suggest a price tag. 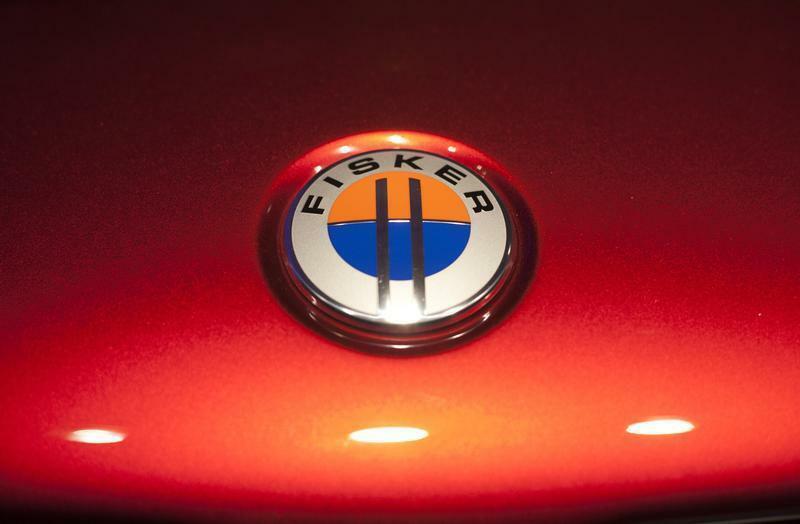 Fisker filed for bankruptcy in November, about a year after suspending production. Fisker raised more than $1.4 billion in public and private funds after its founding in 2007, but lavish spending, quality and engineering blunders and other mistakes drained the company's coffers and delayed the launch of its Karma plug-in hybrid, several people close to the company told Reuters earlier this year. An entity affiliated with Li planned to buy the company after he paid $25 million for Fisker's loan from the U.S. government. The Li affiliate planned to buy Fisker's assets using not cash but a "credit bid" of $168 million owed on that loan, leaving other creditors such as suppliers with next to nothing. The committee proposed an auction be held at the end of January and asked the bankruptcy court to bar Li's affiliate from credit bidding more than the $25 million it paid for the government's loan. In addition to seeking an auction of Fisker's assets, the creditors' committee asked Gross, the Bankruptcy Court judge, for permission to sue former Fisker directors Li and David Manion, as well as Fisker co-founder Bernhard Koehler. The committee alleges they steered the company away from a proposed sale to Wanxiang earlier this year and toward the plan to buy the government's loan. The creditors are seeking damages of at least $25 million. The creditors allegations follow a complaint filed Friday in Delaware federal court by Atlas Capital Management LP that accused the car maker's founder, Henrik Fisker, and others of failing to disclose the company's shaky finances to investors. The creditors' committee also sought to put the government loan now held by Li's affiliate at the back of the line for repayment because the scheme by Li and Manion had harmed other Fisker creditors. "As a proximate result of Manion's breaches of fiduciary duty as alleged, the valuable assets of Fisker have been or will be stripped from the Debtors for the benefit of Manion, with a minimum value of $25 million," said the committee complaint.